Accueil > The Pyrenean > Advice > How to Avoid Getting Tired During Your Hike ? Hiking is an excellent way to keep in shape whilst taking in the beauty of the great outdoors. A powerful cardio workout, hiking can help to lower your risk of heart disease, improve your blood pressure and blood sugar levels and work many of your major muscle groups all at the same time. It can also, however, be exhausting if you are not ready for it. To get the most out of your next outdoor adventure, follow these top tips on how to hike harder, for longer. The physical effort of hiking can be overwhelming if you haven't put your body through its paces before you hit the hiking trails. A combination of strength, balance and cardiovascular exercises at regular intervals can help you to build up your stamina to ensure you can comfortably complete hikes of varying distances. Aim to start a training routine at least three months prior to your first hike. This way, you will know that your body is ready to take you anywhere you want to go, while you are enjoying all the benefits of hiking. Start your new training regime slowly at first, and remember not to push yourself too far, too quickly. Look at undertaking at least 40 minutes of exercise a day, and build up to longer periods of time as you gain your strength. Even your first few attempts at exercise should make you sweat at least a little bit, and if you are lacking motivation to work out in the gym, try smaller, exploratory hikes to begin with. When you finally start to take on some more substantial hikes, a vital component of your success will be finding your own rhythm for the duration of the hike. To stay energised during your hiking adventures you will need to set a pace that you are comfortable with. Hiking is all about endurance and strength, it is not a race and there are no prizes for being first to the finish. A steady pace will help you to conserve the energy you need climbing up and down mile upon mile of hills and mountains. A steady pace makes for a successful hiking experience. If you are travelling as part of a group, don’t be tempted to go out of your comfort zone by rushing to keep up with them, only to then have to slow down again when they stop. Find your rhythm and stick with it to prevent getting tired too soon. Any kind of exercise that makes you sweat calls for regular hydration. You may be half way up a mountain, but you still need to make staying hydrated your top priority. Before you set off, limit the amount of caffeinated drinks like coffee or cola that you consume, and choose to go for juices or sports energy drinks instead. 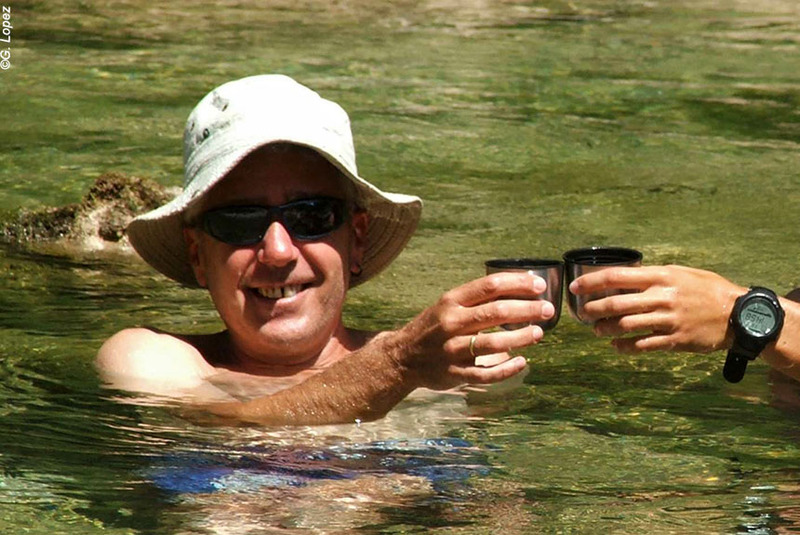 When you are out hiking in extreme conditions or very warm weather, aim to take a drink at least every hour, or sooner if you feel you need to. It is not just water that will help you to stay energised and hydrated, sports drinks help to replace much needed electrolytes, while certain foods like bananas and citrus fruits help to balance your potassium levels that will raise your energy levels. A hiking experience is about keeping fit in the great outdoors, and it is definitely not the time to be making a fashion statement. Anticipate the conditions you will be experiencing, and find the right kind of attire to suit. Always remember to layer up when out walking, to be sure that you can adapt to the every changing weather conditions. You should also consider the weight of the clothing as this can directly affect your performance and burn through your energy reserves quicker that you would believe. Ultra-light, performance based clothing can be more expensive to buy in the first instance, but your body will thank you for it later. Wearing uncomfortable or impractical footwear whilst out hiking will slow you down and wear you out quickly. Your feet need to be well protected against the rough terrain, as well as being lightweight and flexible enough to not make your hike any harder than it already is. There are thousands of different types of hiking boots to choose from, and you should visit a specialist retailer to find the right fit and type for your individual hiking needs. While you are out there, choose from a selection of energy-boosting foods that combine well together to produce power maximising combinations. A mixture of carbohydrates, proteins and fats will work well to stabilise your blood sugar levels, and keep your energy up for the duration of the hike. Choose from a selection of dried fruits, nuts, pasta, cheese and dried meats like beef jerky for exhaustion busting snacks you can eat on the move. If you are planning on stopping somewhere to make camp or to enjoy the foods, resist the urge to eat all your rations at once, as that could slow you down for the remainder of your journey. After a hard day spent hiking over varied terrain and long distances, it is important that you treat your body to a few simple cool-down stretches to reduce muscle fatigue and soreness. Your thighs and calves will probably be feeling it the most, so take the time to fully extend and stretch your muscles when have finished your hike. If you have been carrying a rucksack with your, chances are your shoulders, neck and upper back could also be feeling sore. Rotate your shoulders, stretch out your neck and jump in a hot shower before reflecting on the success of your hike. If you approach each hike in the same way that you would any other endurance based activity, you will find yourself feeling energised, and ready to take on more difficult and longer distance adventures.